Erica is a proud member of the Actor's Equity Association. ​Erica is over the moon to be playing the iconic role of Belle in Beauty and the Beast at White Plain Performing Arts Center! The show runs December 21st through January 13th. For more information and tickets click here! Last year, Erica received an Ovation Nomination for Best Leading Actress in a musical for her portrayal of Casey in "First Date" at La Mirada Theatre for the Performing Arts. 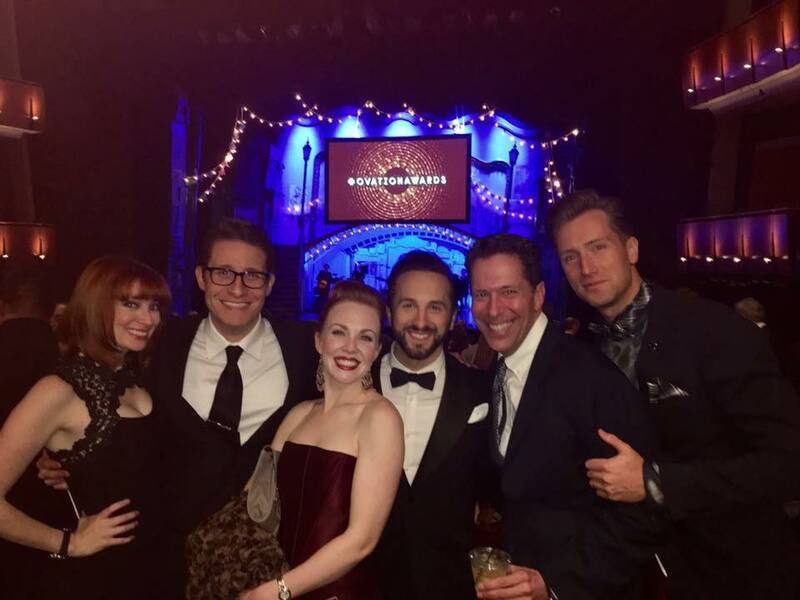 She had a blast attending the awards ceremony in LA with her cast, the show was nominated for 7 awards total! "Lustig and Ginsburg lend beautiful vocals in this musical and their comedic timing is spot on." In 2014, Erica performed her one woman show "This is 30" to a sold out 54 Below as a prize for winning NYMF's Next Broadway Sensation. The show was so well received that she was asked to remount it at the New York Musical Theatre Festival that summer and once again sold out at the Laurie Beechman Theatre. She played a final encore of the show in October at Don't Tell Mama and was consequently nominated as best debut female performer for the Broadwayworld Cabaret Awards. Erica WINS NYMF's Next Broadway Sensation 2013! Erica competed in 3 rounds of competition after being chosen out of nearly 200 applicants and came away with the title of NYMF's Next Broadway Sensation 2013. 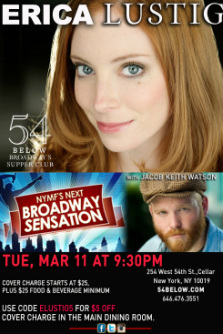 As grand prize, Erica debuted her solo show "This is 30" at 54 Below on March 11, 2014. Also seen on Playbill and Broadwayworld. Click here to watch the video of the first round of competition! 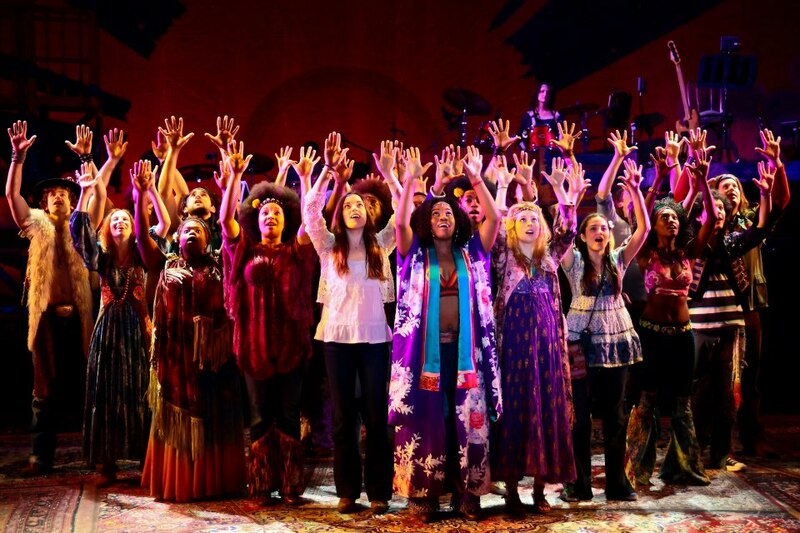 Erica had a blast on the International Tour of HAIR the musical, traveling all over the U.S. and parts of Canada, and ending the run in Tokyo, Japan!